Are You Looking for a Bellmore Roofing Contractor? At Magnum Contracting Group, our Bellmore roofing contractors strive to provide our customers with the highest quality services possible. Our professionals are here to provide for all of your roofing needs, including repairs, inspections, and replacements. In every service that we provide, our main goal is to achieve complete and total customer satisfaction. 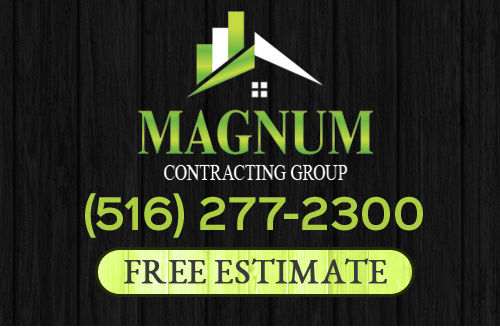 If you need to install, repair, inspect, or replace a roof in Bellmore, call Magnum Contracting Group today. With our help, your roofing system will provide your property with the ultimate level of protection for the longest time period possible. You will always know who to trust with your future roofing needs. Our staff can schedule your appointment today. At the first sign of roof damage, it is absolute vital that you call a professional roofing contractor. The primary purpose of your roofing system is to keep water out of the interior of your property. If this waterproof barrier is compromised, then damage will continue to occur and the problem will become more exacerbated. 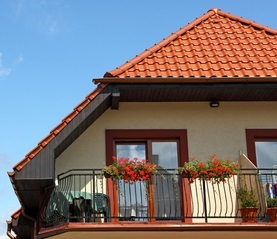 Our Bellmore roofing contractors can provide for all your repair needs. We work with all conventional roofing materials including shingles, tile, metal, and flat roofing. Our roofers in Bellmore can handle any sized job, from a minor patch on a residential property to a complete commercial roof replacement. When people think about roof damage, they often only consider the results of severe weather. However, the vast majority of roof degradation occurs on an everyday basis. Sunlight, rain, wind, and temperature changes are constantly compromising the surface of your roof. As such, small leaks can develop and can go unnoticed for months to years at a time. In order to identify and repair general everyday roof damage, it is highly advisable to conduct routine roof inspections in Bellmore, NY at least once every three years. Our Bellmore roofing contractors specialize in these routine maintenance services. With our assistance, you can keep your roof in the best condition possible. If any room is the heart of your Bellmore home, that room is the kitchen. You and your family prepare and share meals in the area. Your kitchen is essential to any hosting or family events that you hold in your home. As such, your kitchen should be designed and customized specifically for you. Our Bellmore kitchen remodeling contractors can help you vastly improve this living space. Our experts can update your flooring, cabinets, appliances, fixtures, countertops, and more for you. All of our efforts will be focused on achieving both your functional and aesthetic goals, guaranteeing the most rewarding results. If you are looking for a professional Bellmore roofing contractor then please call 516-277-2300 or complete our online request form.